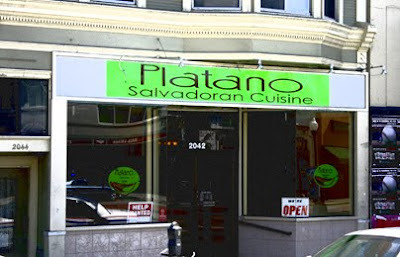 Platano 2042 University Ave./Shattuck Ave., (510) 704-0325. L-D Tu-Sun; $-$$. Reservations not necessary. Salvadoran food is the specialty in this cheery, spacious spot. Lunch specials are mostly pupusa plates--choose from nine versions--with sides of fried plantains, creamy beans, and cream, while full dinner plates include two sides and handmade corn tortillas. Platillos (small tapas-style plates) make up a large section of the menu. Tamales and various fish dishes are also available, as are vegetarian and vegan options. Complimentary curtido—a vinegar-steeped cabbage salad--accompanies all meals.